It can be something as simple as a roll of masking tape, a fancy china plate or another interesting shaped object that you find in your home! tangle around the object to create a silhouette effect. I can't wait to see your ideas! Lori what a great idea! I never would have thought to trace around bread bag clips, so clever. I really like how the Antidots overlap the edge. Thanks so much for sharing your work, if you do another one please link it up too! Great idea Colette! I don't have any baby socks left in the house anymore, my daughter's feet are now the same size as mine, so it would make for a whole lotta tangling! 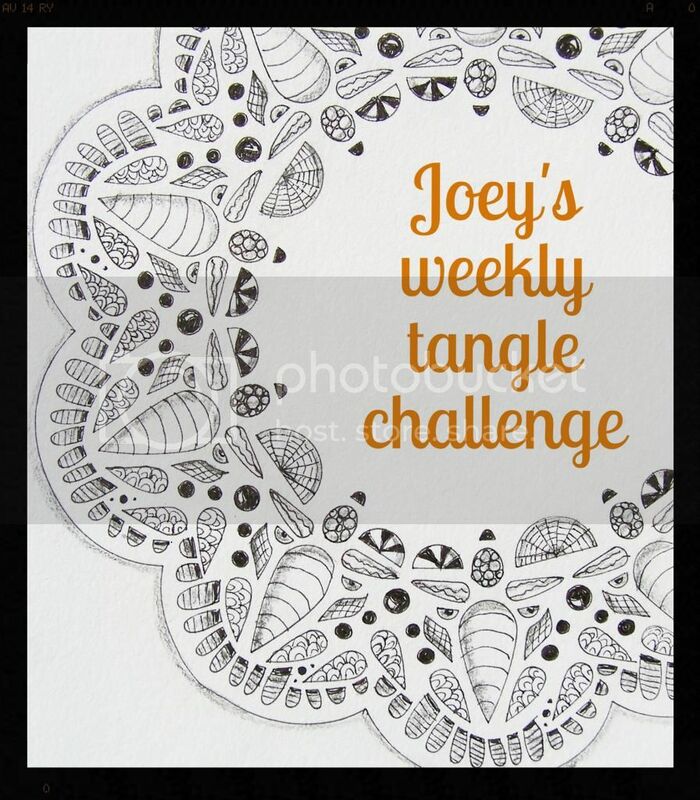 I'm always amazed at how many challenges you complete, love seeing them all thanks for linking up! Emi & I had great fun with this one! I used a scotch tape dispenser and she used her phone case. Thanks for another great challenge! Thanks for participating! I think it's so great that you tangle together. A phone is a perfect thing to tangle and I love how your tape dispenser looks like a snail! What a cute key Kia! It does look pretty enough to wear on a necklace. I like your choice of tangles and where you used them on the key. Nicely done! Wow Stacy, I never would have thought to try and tangle ear buds! That's creative thinking and I love how you wrapped the ribbon of music notes around the wires. Very cool!